The Last Great Unknown in Charted Space. Only the boldest dare venture into the depths of the Great Rift, crossing the abyss of empty space to find unexplored star systems and forgotten wonders. Deep in the Great Rift lie ancient mysteries, strange alien races and human cultures who have not seen offworld contact in centuries. Portside rumours speak of giant creatures capable of interstellar flight, and of starship wrecks belonging to no known race. From the cold war of the Islands Cluster to the isolation of the Boulderfield, the Great Rift is a place of varied and insidious danger. A miscalculated jump means a slow death in deep space – yet Travellers are willing to take the risk. What awaits the intrepid voyager who finds an undiscovered star system or deep-space object? What secrets lie within the Great Rift, hidden in the vast emptiness or forgotten by ordinary starfarers? There are great risks here, it is true, but with them comes the chance to be the first people in history to stand on a new world and gaze upon what no-one else has ever seen. 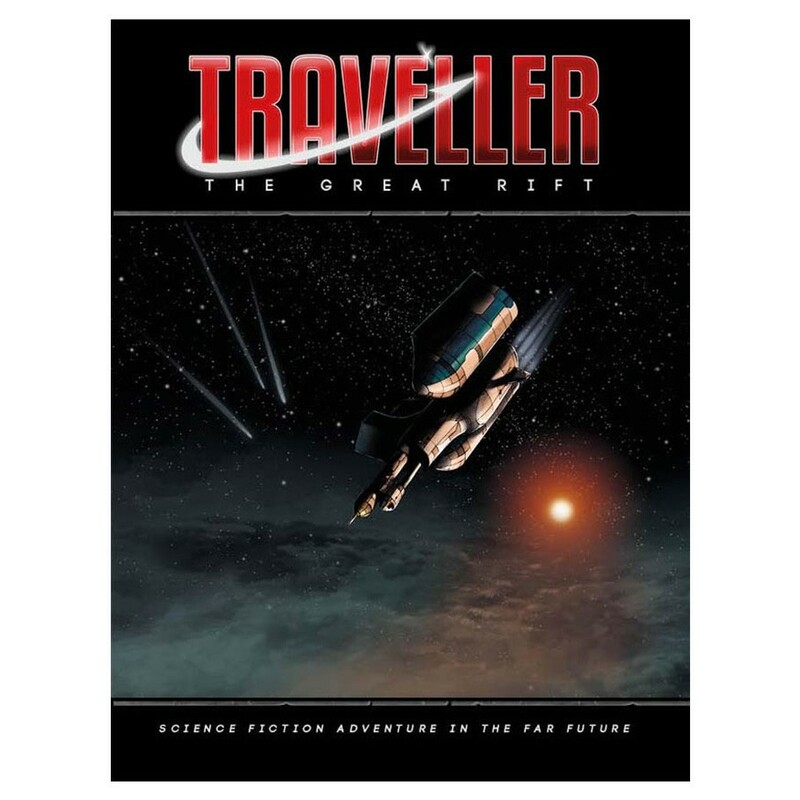 Inside this set you will find: Book 1: The Great Rift – A Traveller’s guide to the Great Rift, how to traverse it, and explorations of Corridor sector and the Riftspan Reaches. Book 2: Touchstone & Afawahisa – Continue exploring deeper into the Great Rift with Afawahisa and Touchstone sectors. Book 3: Reft – The worlds and peoples of the most populated sector of the Great Rift. Book 4: Deep Space Exploration Handbook – What is beyond Charted Space in the cold void of the Great Rift? Push further into the night with this guide to deep space phenomena and the spacecraft that traverse it. Plus three giant double-sided posters illustrating the sectors of the Great Rift and the mysterious Phobetor system.